Hey guys! In case you are wondering why things have been exceptionally quiet over here, I am currently in Miami working on the redesign of a spacious condo for a new client. I have been working on the designs for the past few weeks and now I am over here for a week to meet the contractor, fine tune the designs and select everything we need to kick start the renovations (walls, floors, hardware, fixtures & fittings, a custom kitchen and three bathrooms, lighting, window dressings – the LOT). So needless to say, that project has been taking up a lot of headspace lately, but I wanted to stop by with a tiny bit of inspiration in between deciphering between thousands of tile options, sweating my socks off in genuine heat and humidity, and racing around from store to store making decisions. 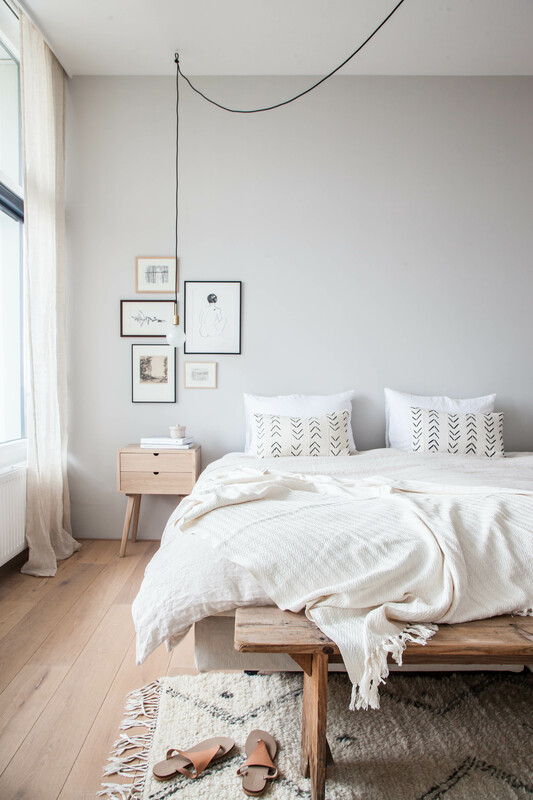 Remember the Project H bedroom reveal I showed you recently? I thought it might be fun to show you some more snaps I took of this space when we were styling it and show you how to do one room two ways with just a couple of accessories. For this project I had brought in several different accessories for my client, who doesn’t like being tied down to one look and wanted to be able to swap and change the look of the space with a few accessories. We had various pillow covers, cushions and blankets to play with and on installation day we played with all those options to see how they alter the room each time. So here it is, one room done two ways – basic and bold! And the best part of all? 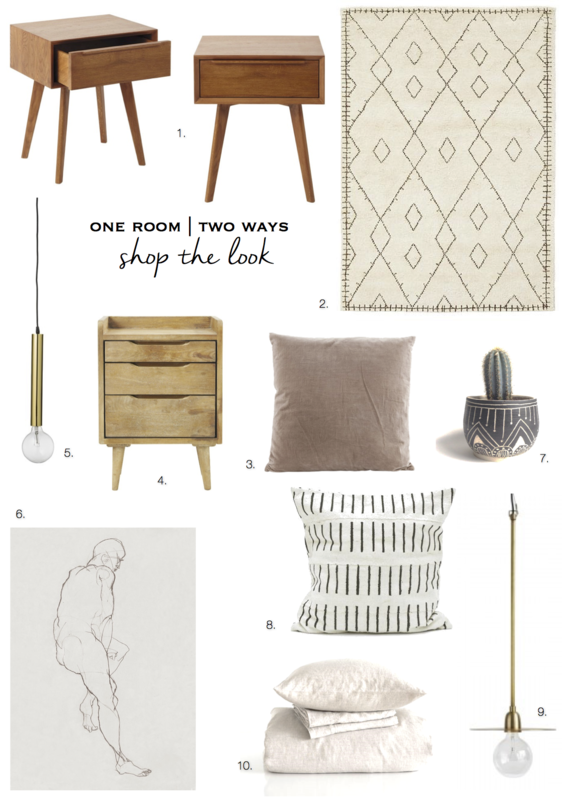 A ‘Shop the Look’ down below for those who would love to snag bedroom like this for themselves – and there were lots of you who wanted to know where to get some of the items we used. I actually loved this look the most when styling the space up. 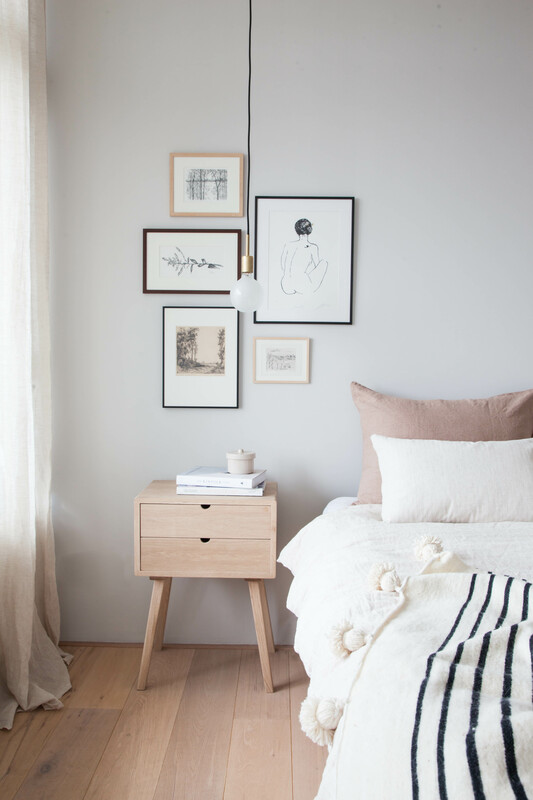 It appeals very much to the minimalist-slash-colour-phobe in me, but still ticks all the boxes where style, texture and coziness are concerned. What can I say? I like my bedrooms basic. 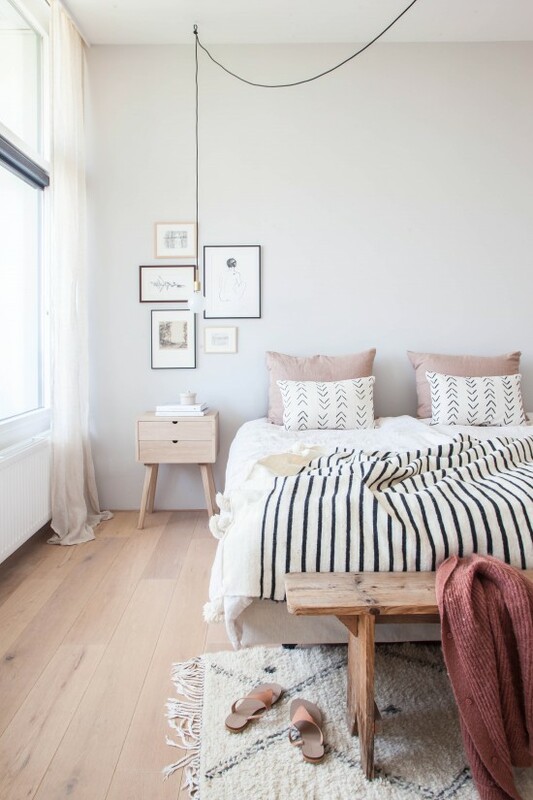 Here, we kept the base and all accessories very neutral and understated to really keep the space basic yet full of warmth and comfort with natural materials and textiles such as the bed linen (By Molle – almond duvet with white pillow cases), a cotton throw blanket, and graphic mud cloth pillows. 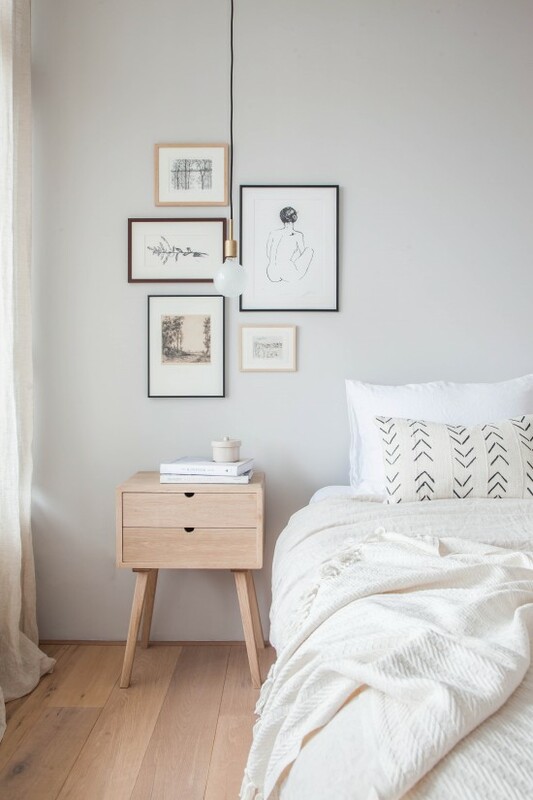 It’s calm and simple, a look I very much love, and sets the right tone for a good night’s rest. 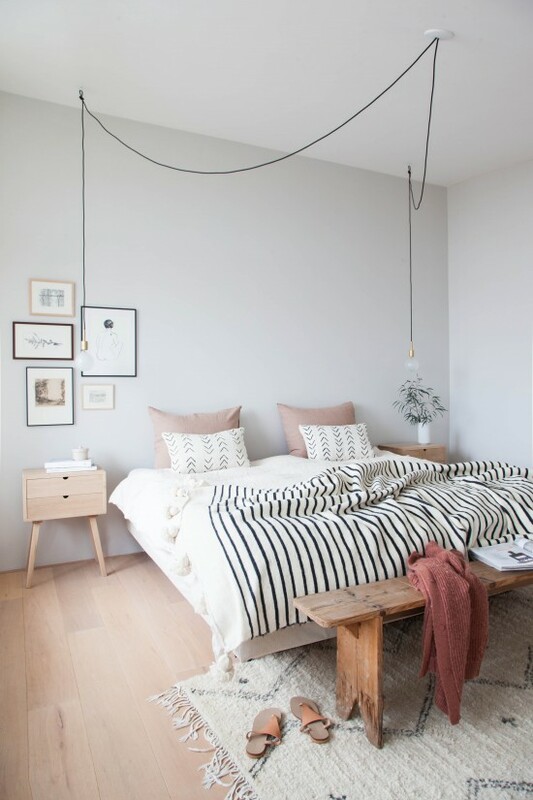 With the addition of a bold striped blanket I purchased for the client while I was in Marrakech last summer, and an alternative pillow case colour (By Molle almond duvet with Nutmeg solid pillow cases), the same space certainly packs a bigger punch than it did before. 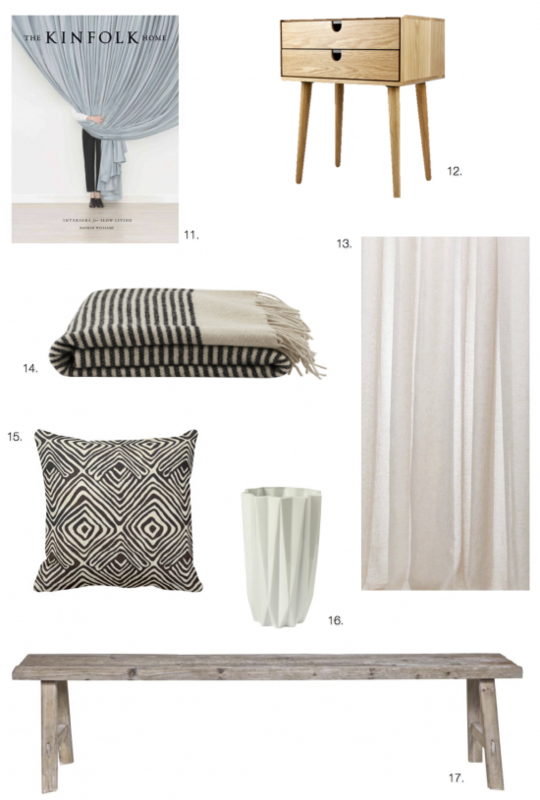 I love seeing how one accessory can make such an impact on a space – this blanket is a stunner and works so well with the Beni Ouraian rug and mudlcoth pillows. 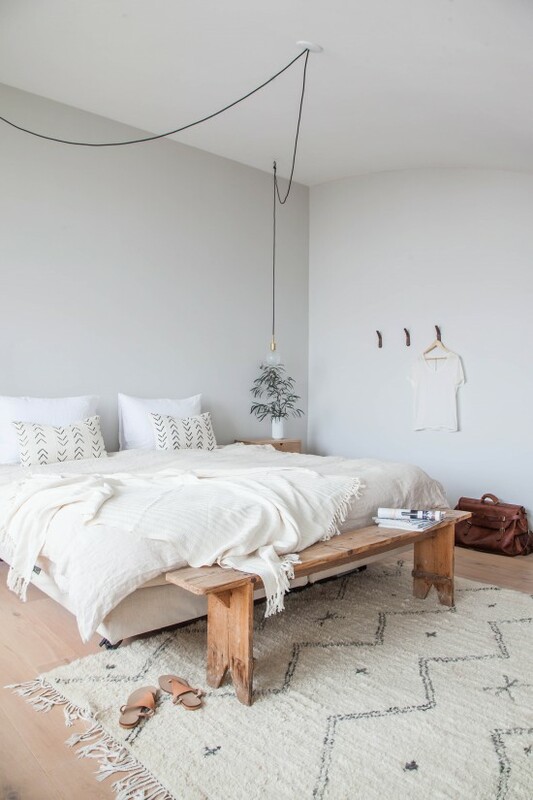 Even though it is heavy and bold, the spacious ness of the room can totally handle it and it adds a wonderful accent while still being very neutral and calming. So guys, which look of your favourite? Click here for the full room tour if you missed it. I’ll be back soon to share with you some of the designs I have put together for the Miami project I am currently working on. Meanwhile, I have never actually been to the States so it’s been a week full of adventures and random sightings on my travels to and from suppliers – yellow school buses I thought were only in movies, I saw a lizard which was pretty exciting (that was the day that the lizard was pretty much the only other thing I actually saw that wasn’t a tile), fell in love with the trees in Coral Gables (where my project is) that arch over the roads and create these long, shady avenues, was impressed by the contemporary architecture at Miami University with beautiful detailing, and slightly less impressed at my first taste of aloe vera juice (which I was kind of hoping tasted a bit like coconut water – which it doesn’t!). Random stuff, but honestly, we have been so busy flying around making design decisions in this very short time frame that there’s been no extra time to see much else. What I have seen though, I have loved and I can’t wait to come back. Hi Holly, loved seeing both options and really like how subtly the mudcloth pillows, blanket and rug match in the Bold version! Wow Holly, what a wonderful project and beautifully done; I love both versions! Hi Holly, An other great project! But there’s one thing that i’ve noticed. The walls are always white, it would be nice to see you creativity when there aren’t white walls. Thanks very much for the nice blog! I stumbled upon your site accidentally and i fell in love with your style. It brings peace, happiness and clarity in my heart. Can’t wait to read your adventures in Miami. All the best! 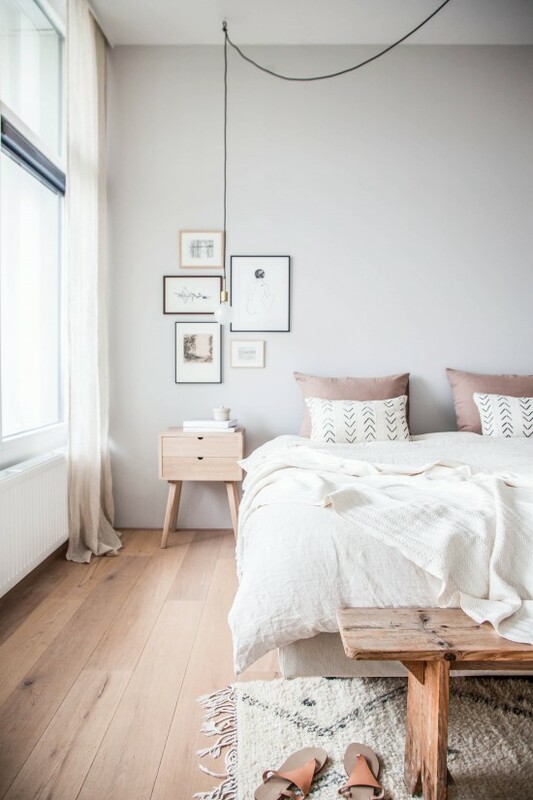 Wondering if you have any idea what the name of the wall color/paint is? ?